Attorney General Dustin McDaniel has appealed the ruling by Circuit Judge Mary Spencer McGowan striking portions of Act 1413 of 2013. As I reported here, Judge McGowan ruled that the Act was an unconstitutional infringement on the right of the people to petition. The appeal will likely be expedited, as the appeal transcript has already been picked up. This appeal will affect, for better or worse, the very first right guaranteed by the Arkansas Constitution — to petition the government for changes in laws. I've helped several counties through the local option initiative process, and the counties currently running these types of elections are watching closely. ￼The effect of the new provisions, especially the sections which fail to define the use of the words, disability, anything of value, material defect, etc., will mean that the citizens of the State of Arkansas will lose their ability to propose legislative measures and laws directly to the people. While the goals of stamping out fraud, forgery and false statements are laudatory, and appear to have been met in 2012 by the Secretary of State, the effects of Act 1413 are crushing to the citizens who wish to bring their issues directly to the people. The effects of Act 1413 seem to impact the citizens rather than the special interests who always seem to have the money to further their goals. Judge McGowan went on to enjoin the Secretary of State from enforcing certain sections of Act 1413 applicable to statewide petition drives. This is good news for Arkansans, as it preserves the right to freely petition the government. However, the Attorney General and Secretary of State have said they will appeal Judge McGowan's ruling. Most appeals take at least several months. A hurdle remains, however, for citizens working on local option elections. A separate act, Act 1432 of 2013, passed laws creating the exact same burdens on local option elections as Act 1413 did for statewide initiatives. This initiative has yet to be challenged in Court. Whether the Arkansas Supreme Court sides with Judge McGowan will likely determine the outcome for Act 1432 as well. Those interested in local option elections will be watching. This shows all the people who signed the wet/dry petition in Clark County in 2010. The address data is more recent than that, and as you can see some folks have moved away from Clark County since the election. Is this person eligible to sign the petition? Has this person already signed the petition? How many people have signed the petition? Let me know if Intelection and I can help you with a local option petition drive. UPDATE 3/5/14: Judge Mary Spencer McGowan declared these new initiative laws unconstitutional. Read more here. Several nonprofit groups are challenging a new law designed to make it harder to use the petition process to change state law, reports the Arkansas Times. As someone who's helped several groups through this process, and who's spoken with the attorneys involved in the litigation, I expected as much. The Arkansas Constitution (at Article 5, Section 1) guarantees citizens the right to propose legislative measures, laws, and amendments to the Constitution by using the initiative process. This right is so important that it is "the first power reserved by the people." Article 5, Section 1 also says, "No legislation shall be enacted to restrict, hamper or impair the exercise of the rights herein reserved to the people." Finally, the Arkansas Constitution says "No law shall be passed to prohibit any person or persons from giving or receiving compensation for circulating petitions, nor to prohibit the circulation of petitions, nor in any manner interfering with the freedom of the people in procuring petitions." This is the supreme law of Arkansas unless the people vote, in a referendum election, to change how initiative petition drives work. Despite this right being reserved to the people, in 2013 the General Assembly passed Act 1413. This Act modified many of the laws concerning how initiatives work. It places restrictions on who can be a canvasser (a person who circulates a petition for signatures by voters); how canvassers can be compensated; and when canvassers have to register with the State. These restrictions on the rights of Arkansans to hire canvassers to assist with initiative campaigns are in direct contravention to the Arkansas Constitution. Furthermore, the Act also invalidates all signatures on certain petition parts (individual petition pages, usually with 5-20 signature blanks) in the event any voter erroneously enters any information (such as where the voter has moved, but his or her voter registration still shows the old address). This change in law is contrary to both the Arkansas Constitution and years of court cases decided by the Arkansas Supreme Court. The problem with all these changes (besides being contrary to the Constitution on their face) is that the new laws criminalize quite a bit of canvassing activity. For instance, a volunteer canvasser commits a Class A misdemeanor if he or she copies address information from a doctor's driver's license to the petition form (because, of course, this doctor has bad handwriting and we want his name and address to be legible!) and then the doctor signs it. A Class A misdemeanor can lead to a 1-year jail sentence and a fine up to $2,500. This is an absurd result that creates a "chilling effect" on the willingness of ordinary citizens to participate in the initiative process — the most important right reserved to the people. I've helped several counties through the initiative process. In most of these cases, the sponsors of the petition helped update the county voter rolls by assisting voters with providing updated information during the canvassing process to the county clerk. In one instance, a county clerk was unsure of when to count certain votes, and I assisted in getting clarification for her in Attorney General Op. 2010-079. Thus, a side effect of the initiative process was the clarification of existing law. The initiative process allows the people to speak when legislators won't speak for them. 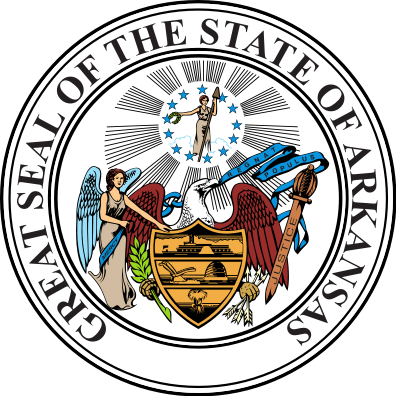 According to the Arkansas Secretary of State, initiated acts have been passed creating standards of conduct for politicians; amending worker's compensation laws; allocating tobacco settlement funds; defining marriage as between a man and a woman; prohibiting adoption by unmarried couples; establishing a scholarship lottery; amending liquor laws; and passing term limits for politicians. Our citizens pass initiated acts across the full political spectrum. This new Act by the General Assembly seeks to consolidate power with politicians by discouraging ordinary citizens from participating in what our Arkansas Constitution says is the very most important right — to change the law ourselves.